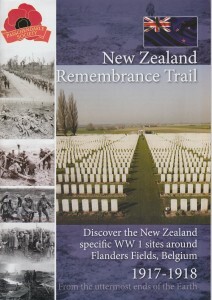 The New Zealand Remembrance Trail is a light weight 24-page A4 sized educational booklet and is aimed at New Zealanders who are self-driving around the various battlefield sites around Belgium in particular, complete with driving instructions. 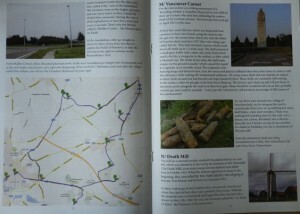 As a charity we are not able to ‘sell’ the Remembrance Trail to you, however a donation to the Passchendaele Society would be very much appreciated to cover the costs of printing and postage. Or you could consider becoming a member for just $20 if you have not already done so, to stay up to date with our progress and plans over the coming years. 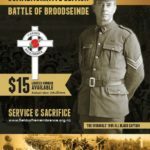 And/or you can purchase a Passchendaele Society badge, they look like our logo. These are $6 each (or 2 for $10).